Until the late nineteenth century, knowledge of marine biology was limited to the upper few fathoms of the ocean and shallow waters. Within these rather circumscribed limits, Aristotle had described many forms of marine life, and Charles Darwin, in his voyage on the Beagle in 1831, notedcoral reefs, plankton, and barnacles. This state of knowledge was dramatically altered after the Challenger expedition in 1872–1876, the first voyage exclusively dedicated to a study of the marine sciences. (Moreover, there were practical considerations for the voyage, namely, growing demands for transcontinental telegraph communication utilizing ocean cables.) Charles Wyville Thompson, a Scottish marine biologist and professor at the University of Edinburgh, who had established a reputation for his invertebrate marine studies in the late 1860s, was selected scientific director for the expedition. The around-the-world voyage on the Challenger, a Royal Navy vessel refitted for scientific applications, was almost 70,000 nautical miles (30,000 kilometers). The data collected included identification of some 4,700 new species of marine life and disproof of the belief that life could not exist at depths below 1,800 feet (550 meters). Ocean currents and temperatures were systematically plotted, maps of the bottom deposits were prepared, and the underwater Mid-Atlantic Ridge—the longest mountain range in the world—was discovered. In 1873, Wyville Thompson authored an early marine biology book, The Depth of the Sea, based on his initial findings. Upon his return to great honors and a knighthood in 1877, he worked to prepare a report of the voyage that filled fifty volumes and almost 30,000 pages, appearing in his 1880 work, The Voyage of the Challenger. His journey focused upon the collection, description, and cataloging of marine organisms, using newly developed methods for capturing and preserving specimens for study. Contemporary study of marine biology investigates such questions as how particular organisms adapt to the chemical and physical properties of seawater and how ocean phenomena control the distribution of marine life. Of particular interest is study of marine ecosystems, namely, understanding food chains and webs and predator-prey relationships. SEE ALSO: Coral Reefs (c. 8,000 BCE), Aristotle’s The History of Animals (c. 330 BCE), Darwin and the Voyages of the Beagle (1831), Food Webs (1927). 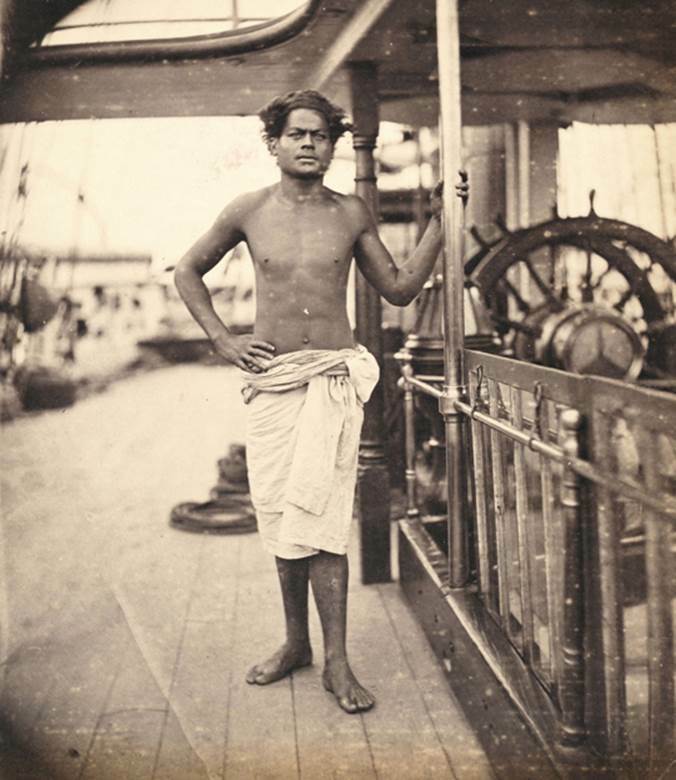 A July 1874 photograph of a Tongan seaman, identified as a crewmember during the Challenger expedition, which is thought to be the first marine expedition to carry an official photographer and an official artist.